Come join us for a journey through the beautiful boreal forest! 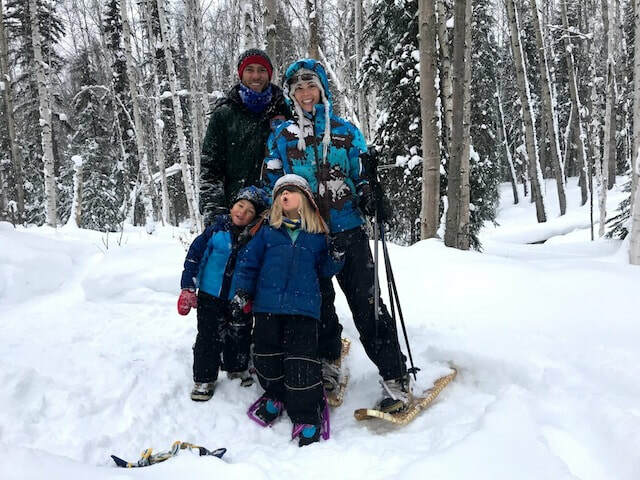 We are family friendly, offering snowshoe tours and nature hiking for most ages and abilities (we recommend 4 and up, but feel free to call us if you have any concerns). Whether you are looking for an educational experience, a physical challenge, or a meditative and restorative break during your travels, you can find it all here. At the end of the tour, you are welcome to join us in our cozy cabin to catch a glimpse into our down-to-earth Alaskan lifestyle, focused on wildcrafting, adventuring, and procuring our own food. We want you to leave Alaska with a better idea of what life is like for the locals! Get Outside and See Interior Alaska! Join us for a one of a kind experience, starting with a hearty Alaskan meal while cozied up by the wood stove inside our cabin. 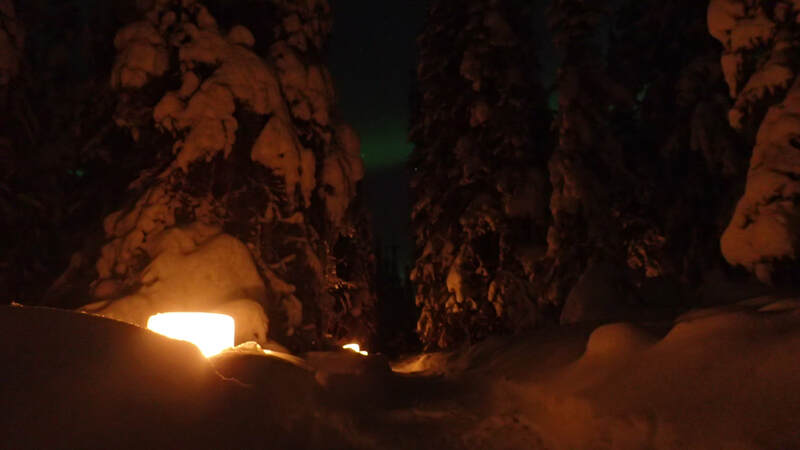 Then venture out on our private trails, guided by the soft glow of candles illuminating our homemade ice luminaries. We will discover the treasures of the boreal forest while keeping an eye on the sky as we never know when the Aurora Borealis might appear and really light up the night! Our most popular tour option! Try out a mode of transportation that Alaskans have used for centuries and is still a popular activity for those who want to get off the beaten track. ​Experience the magic of our winter wonderland during an evening of snowshoe hiking as the snow sparkles under the light of your headlamp. A favorite time to get outside for locals! Come with us on a nighttime hike as we scout for the Northern Lights. 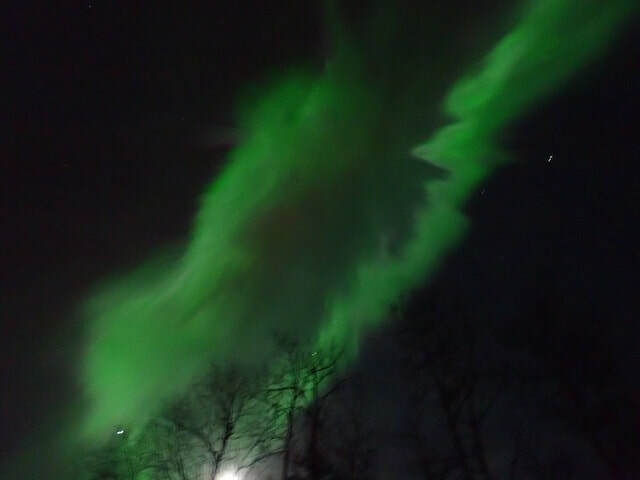 There is always a chance to spot the Aurora on a clear night from September through March! ﻿We also offered customizable extended tours if you would like a tour shorter or longer than 2 hours. Click here for more information. We are passionate about taking people outside to unplug and slow down, rekindling awe and appreciation for Earth.